What company is by far and away the largest 3PL in terms of US revenues? All the way back in near the end of summer, rare First Thoughts guest columnist David Schneider laid out what we called the August Logistics Challenge. The idea was this: Schneider described a real life client scenario he had recently grappled with. We challenged readers to come up with their ideas for solutions, and promised we would highlight the best of those and Schneider's own strategy some time later. Well, sometime later turned out to be a lot longer than I imagined, with our First Thoughts column calendar filled up as usual, and so we are finally back here again with some follow up before the end of the year. "Most responses focused only on sort of what is directly under transportation's control, i.e., did not expand into network design, which is understandable given how the problem was posed and some details not revealed until Schneider's answer." A mid-sized manufacturer was dealing with rising logistics costs. That issue had led to some turnover in the transportation management team. The new, reluctant freight manager decided the right move was to call in all the carriers and scream for lower rates, telling them they would be dropped if they didn't comply. In the end, this hardball approach combined with a tight freight market, rising driver wages, etc., led to costs going up, not down. That's when the company president called Schneider for some help. He soon found the problem was not the rates, but the way the company managed shipping. It used a lot of expedited services, for example. When the new freight manager had called manufacturing and business line managers about this practice, most people dismissed him, saying that they had to use the expedited service because that was the nature of the company and they often had to expedite to fill orders on-time. Several said stop bugging us about this and get us lower rates. Looking at the data, Schneider found there were lots of under 500-pound shipments, sometimes as frequent as every day, moving between branch plants. Some lanes stood out, with many expedited shipments using Forward Air and not the usual LTL carrier. 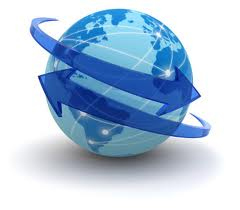 One lane used Forward Air for over 40% of the shipments, naturally at a premium rate. In fact, the two plants in this lane were only 300 miles apart. You could get LTL service the next day, for about 70% of the cost. Why so much Forward Air? What's more, on some days the shipping branch plant used both the LTL carrier and Forward Air. Turned out about half of shipping supervisors knew the LTL transit times from their facility. Only one plant manager did. After two days of calls the picture emerged: the plants where the shipping supervisor knew the LTL transit times used Forward Air the least. The branch where the manager knew the LTL transit times used Forward Air just three times in a year. The company had 26 locations around the country. All of the branch sites distributed the same core products, but custom mixed ingredients based on customer orders. If a plant ran low on one of the additives, the production planners called a few neighboring plants and scrounged what they needed to make a production run, so there was a lot of inventory trading and transferring. Looking at the intercompany transfers and the shipment lanes, branches did not cross-country transfer, with 90% of the transfers moving less than 750 miles. On the order side, the company promised customers a 3-day lead-time before shipping, and shipped all orders LTL, only committing to the ship date. Orders received on Monday shipped on Thursday, so planners had three full days to get the order processed through the network. The custom formulations required some planning and sequencing in the plants, because the process included a heating and mixing process to blend the additives into the base ingredients. Mixers and kettles had to be cleaned between batches, so the planners attempted to consolidate orders for the same blends into larger batches to help reduce the cleaning and set up between batches. The planners also jockeyed orders around when they ran short of additive ingredients. "Rates were not the problem at this client. They had good rates. The problem was behavior, which is much harder to change. "The expedited service was not shipments to customers, it was shipments between the company plants. The company made custom blended products for customers, adding and mixing different ingredients to the same base mixes. "I started talking to the production planners, the inventory planners, and the procurement folks. This group had lots of frustration over the plant to plant swapping of ingredients, and the resulting mess of the inventory balance. In this network, every plant could make every product - at least until they ran out of an additive, or ran short of a base mix. Important question: Were there additives that went with just one base, or were the additives universal, mixed with each of the five bases? Some people knew, and others didn't. But we uncovered that about 40% of the additives were exclusive to a specific base. "What grew out of those conversations was the idea to take all of the plants and define regions. We chose a single region where the most freight cost came from, and examined the demand and capacity of the plants in the region. Two of the plants had the capacity to make 100% of all of the variations of a single base, and cover the local demand for the rest of the product mix. We identified the two base mixes that used the exclusive additives, and moved the production of one mix to each of the plants with the capacity. Those plants made the products and shipped them directly to the customers, using the LTL rates and network already in place. "It took a few months for all of the changes to happen. The plant managers naturally did not think that it would work. Sales was concerned that the central production would not meet the required lead times. The inventory and production planners worried about the capacity of the plants to carry the full load. "It took some time to see the results. Plant to plant transfers of those ingredients stopped cold. Freight costs went down. More important, the inbound freight costs for the delivery of the additives went down too, as 40% of the additives moved to only two locations, not six. Lead times did change, for the better, with some customers receiving their product one day sooner. Outbound shipping costs increased a few points, but the actual cost increase was far less than the eliminated costs of the plant to plant transfers. "Two things happened next. In the pilot region, another plant started to make all of the orders for base product #3, so there were three plants, each making one of the base mixtures for all of the regions. Again, plant to plant freight costs dropped further. However, the plant managers started talking about excess capacity. When the company moved the production around, the plants that centralized the demand got more efficient. They made bigger batches, because the bigger batches covered more customer orders. "The company is spreading the concept to other regions of the country. If the numbers are right, the company will carve over $4 million of freight cost out of the budget, including the savings on the inbound side. And that is before the procurement folks start to negotiate new supply deals. "In the end, what presented as a freight problem was really much more a network optimization problem." We received more than a dozen responses to our challenge, many with excellent suggestions. Most focused only on sort of what is directly under transportation's control, i.e., did not expand into network design, which is understandable given how the problem was posed and some details not revealed until Schneider's answer. But several responses did suggest looking at network design. The closest response to Schneider's proposal probably came from Patrick McNulty, who in part argued that "A long term solution starts with a supply chain design analysis. Branch to branch shipments are not ideal and should only happen as an exception. The design effort should answer questions such as: Do you really need 26 locations making custom product? Where should safety stock be located in the network? Could a central DC hold the raw material?" It was really tough, but we subjectively award the top prize - and a $50 restaurant gift card - to Steve Hogg of Fraser Direct Logistics. Very close runner-ups include Christiane Meyer (Penske Logistics), Julien Bruxelle-Fradette (Rona Home and Garden), David Armstrong (Inventory Curve), Nick Seiersen, and Ross Corthell. We publish Hogg's response and several others in the Feedback section after that. Still more responses next week. This was fun - do you have an idea for another supply chain challenge? Let us know. Academics in our audience - the original challenge, and the suggested responses from our readers, would make a great class exercise. Let me know. Any additional solutions to our logistics challenge? Anything else you think Schneider should have recommended? Have a new supply chain challenge we could use? Let us know your thoughts at the Feedback button (email) or section (web form) below. As promised above in this week's First Thoughts column, here is a great selection of original responses to our August Logistics Challenge. Many more next week. If you can't wait, you can find additional submissions, most quite good, here in the Feedback section at the bottom of the page. Great Challenge! I wish the whole project was mine. Without seeing inbound raw material and finished goods delivery patterns, it's difficult to derive a total solution but certainly as you are indicating, there are issues with material planning and with marketing. Secondly, there are 26 plants. Surely they don't all need to duplicate production. They can each distribute their core non valued added product but specialized mixing and use of certain ingredients needs to be allocated to specific plants using a demand analysis. There would be less production down time, and higher volumes of each ingredient, allowing far more cost effective shipping practices, inbound and out. It would require a new logistics model but it's just math. There is a "best solution". The cost of longer transits would more than be made up through efficiency gains. Often when there are high frequencies of repeat LTL shipments, there are opportunities for dedicated milk runs which take advantage of truckload rates plus a stop charge verses single skid LTL rates. This also increases operational consistency leading to better materials practices. It sounds like there needs to be some education about the cost of the word "guarantee". LTL service comes with none. Even if it has a consistently high on time percentage, there is no guarantee. If the customer says "I have to have it", you are forced to use a higher priced option to achieve the exact same result. A little more communication between trading partners about specific needs is often enough to eliminate or drastically reduce premium freight costs. Getting even more proactive, negotiate larger but less frequent orders, perhaps also taking advantage of dedicated milk runs. Premium freight is a derivative of poor planning and communication, not a conscious service choice. If your delivery parameters are such that they are causing all of the above activity, then your supply chain risk level is as perilous as your costs. It's impossible to say without knowing the ratio between valid and non-valid transportation activity but based on the descriptions, I don’t think it's a stretch to imply a potential reduction of 25 to 30%. There is always math to be done around the 'transportation verses inventory trade off' but there is a lot of low hanging fruit in this case. More importantly, the result of turning your supply chain into a performing asset versus an out of control cost center is... priceless! I found your article very interesting and see the dilemma you described: "Overall spend is high, so it must be the rates". Far from true. Companies need to have competitive rates, no question. But this task should be done later, once the network is understood completely. There are better things to start with. Let's start with the order process: Few plants simply produce without an order or a related production plan which is based on customer demand. While different industries have different order patterns, i.e. dynamic (daily, hourly) or more static (weekly, quarterly), there usually is either a plan or a dependable forecast of what might happen tomorrow, next week etc. • One way to gather that information is to have the plants enter the shipping requirement into a common system. Portal applications usually work well and can be implemented quickly. • The information should contain shipping volume, weight, destination, also the required delivery date. • Sophisticated portals also offer the option to "rate shop" to ensure that the cost and delivery requirements are met. • But my favorite feature of a system is that it gathers shipment information for later analyses. • Transportation Management systems, SAAS applications have basic functionality and can combine shipments and do basic optimizations. This would ensure that there are not three different LTL orders shipped to the same destination on the same day. It would provide a lower cost and - if the person entering the shipment was honest about the need-in-plant date - even ensure delivery at the right time. • Later on, static optimization, using route optimization software and engineering support, can be created. But for now, let's keep it simple. Now actual load and shipment tenders to the carriers can be created. But which carriers do I use? Are my rates good? • I always believe that it is best to start with the existing carriers and once patterns emerge, maybe after 2 months or so, to put lanes out to bid to see what the market is doing. • Data from all plants should be combined and carriers/partners be chosen based on the entire data set. • Did the trucker actually use a tarp/flatbed/under deck space? • Did they wait for 5 hours before they got offloaded? • Did they ship 500 pounds of freight? • Furthermore, who authorized an expedite shipment? • Who authorized a certain carrier to perform the transportation (yes, we all have an uncle who owns a truck and we all want to give him business)? • By tying the carrier tender to payment, you control who gets paid and unauthorized carriers will not have a chance of receiving payment. Carriers learn really quickly what the process is. • What works even better is self-billing options. We do that in our company and our carrier base loves it and it provides us with the correct accruals for timely payments based on real events. But how will you get the plants to play along? Budgets are often held de-centralized at the plants, allowing local decisions to interfere with the common good of the company. I found that third party service providers, Lead Logistics Provider or Control Tower operations can provide the necessary "glue" to put network together, manage carriers and costs. But more successful companies have centralized their logistics and have put into place checks and balances, even consequences for non-adherence: Requirements are understood for the entire company, authorities are distributed adequately and rate negotiations are done with the entire network in mind. There is certainly more to it and I could write about this all day. What an interesting idea for a column! As you hint, there are probably several ideas that might be rolled out over time. The first might be to simply force the use of expedited air service for interplant transfers to be authorized by someone high enough in the organization (say the President) that only the desperate will ask. That in itself will severely reduce the airfreight premium. The next may be to build in a charge for expedited interplant transfers for every customer order that requires it, thereby making these orders less profitable. This makes the additional cost very visible, and may lead to different behaviours in sales and in logistics - "how can we avoid that extra charge?" Then maybe get back with carriers to see what can be done about making time-definite road services available. This builds confidence that interplant products will arrive as planned, but will also pay dividends on customer deliveries. This short term plan might knock as much as 10% off the freight bill, through demand destruction and the use of land at 70% of the air rate for interplant transfers. Then consider a network approach to interplant transfers. Given the frequent materials shipments, maybe a regional warehouse for low volume ingredients, with a mandate fulfill orders overnight to plants within the region. By concentrating low volume ingredients across several demand points, inventory can be better managed. By fulfilling from a regional hub, costs and availability of slow moving ingredients can be optimized. Then maybe there is something to be done about the manufacturing strategy and scheduling. Pepsi has won awards for the use of regional mixing centres for low volumes, supplemented by local distribution for high volumes. Perhaps there are opportunities in the way the production is scheduled today, like differentiating between fast movers (shipped next day) and make-to-order (shipped next week). Perhaps regional custom mix freight can be shared with inbound raw materials replenishment. Network design projects can be extremely lucrative, but require fairly sophisticated financial models to evaluate. My opinion would be there is probably another 10% of the freight bill available. This also allows the company to see their logistics costs very clearly, to understand the different costs-to-serve various channels and markets. Finally, customers will be very receptive to a promise of delivery, rather than a promise of shipment. I'll be interested to see what others suggest. There are a lot opportunities at this client it seems! First step I would take is to make sure the shipping managers did not have to memorize every lane's rate and transit time by mode. Most humans cannot memorize all that detail and then execute the "optimal" decision based on all other shipments going on at the same time. Especially when the environment is dynamic which in this case it is (build to order with 3 day lead time from order to shipment). Moving to a TMS would allow this company to make better shipping decisions based on the destination, lead time and volume / weight of shipments. Opportunities such as consolidating smaller shipments into a multi-stop full truckload may be a better decision considering cost and service level. Doing a TMS first is likely easier given the many options to deploy (e.g., Cloud). This just allows them to better handle the other problem of having to move ingredients all over the network to meet production needs. The high number of ingredient movements are likely attributed to deficiencies in FG forecasting, plant (FG) sourcing decisions and raw material sourcing. If we tackle the upstream and likely more challenging issues next, we can begin to reduce the amount of ingredients that are moving between plants. Better forecasts allow plants to more likely have the ingredients they need to satisfy production. Plant sourcing decision improvement allows the right plant to make the product given where the customer is located (shipping costs based on transit time), which plant has the raw materials to satisfy the production, and what transfers may need to occur. All of that is optimized based on least cost and meeting the service levels. Lastly, if plants are regularly running low on ingredients, there may be an issue with re-order points, supplier service levels, or timely consumption reporting when used in production. The roadmap for these changes is dependent on their current processes and systems. So my next step would be further exploration. A lot to do, but think about how much better off they will be in the long run! First off, good for you for having the President's attention... my guess is the Transportation Manager did not for probably a host of reasons. Regarding your case study, I have more questions than answers but I'll take the bait and offer "the first solution that comes to my mind" (your fork truck driver was a wise person and I absolutely love to tap "unofficial leaders" like that). I'm going to admit my own bias that freight is almost always a greater % of total logistics costs than inventory carrying. That bias influences my recommendation as you will read below. I recommend your client consider regionalizing distribution of raw materials to DC's that are within one day of mixing plants. I suggest they use contracted 3rd party public warehouses on variable cost basis so they don't incur huge capital to make the change. I would, however, spend some capital (or go cloud) to implement a WMS that would give them total inventory visibility even where inventory is deployed at contracted warehouses. The WMS should be sophisticated enough to give the economic order quantities to help manage the inventory replenishment process and not let it get out of control. I would also implement a TMS on a transaction cost basis that would give them electronic, rule-based tendering and carrier performance management tools. I'd make sure the TMS had a good BI tool to give them real-time transportation data verses relying on a post audit/freight pay service for the data. Start measuring on-time delivery in addition to on-time ship. I would set about to educate the culture on Lean principles. Clearly, the feedback the Transportation Manager received from the Branch Manager wreaks of a culture that does not embrace process flow. It also sounds like the transportation supervisors are that in name only as well. They probably wear many hat which is ok but freight spend is huge so managing that needs to be higher on their priority list. Lastly, and again admitting my own bias, the single most brilliant thing they can do is to hire me as Vice President of Supply Chain to implement all of the above and save them millions of dollars. Prepare a weekly report of the freight differential of actual versus planned costs. This would be by shipping location, and show the air freight costs and the LTL costs for the shipments of the week, ranked highest to lowest. Copies would be sent to the President, the Plant Managers, Production Managers, and Shipping Managers for each shipping location. Q: What company is by far and away the largest 3PL in terms of US revenues? A: CH Robinson, with 2014 sales of $13.4 billion.